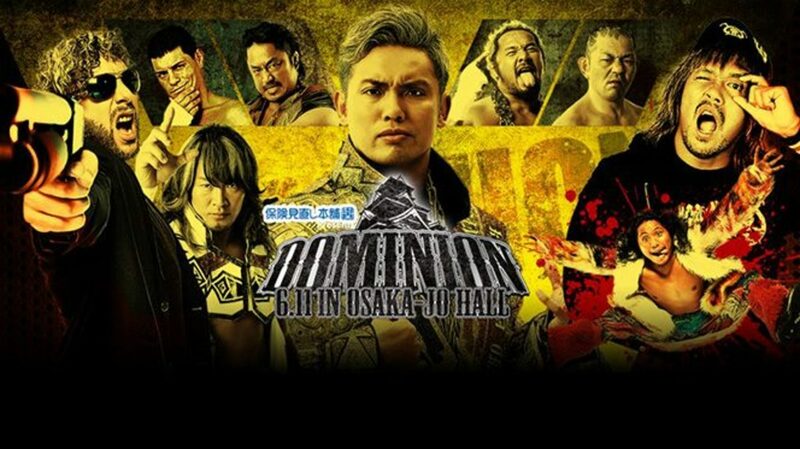 New Japan Pro Wrestling has announced the full card for Dominion, which will take place on June 11th at Osaka-jo Hall. In a match that became apparent once KUSHIDA won this year's Best of the Super Juniors tournament, he'll challenge for Hiromu Takahashi's IWGP Junior Heavyweight title at Dominion. KUSHIDA defeated Will Ospreay in the finals of this year's BOSJ to become the tournament champion and receive the title shot. There will be a gauntlet match for the NEVER Six-Man tag titles as well, with SANADA, EVIL & BUSHI defending against Ricochet, Juice Robinson & Ryusuke Taguchi, Tomohiro Ishii, Toru Yano & YOSHI-HASHI, Bad Luck Fale, Hangman Page & Yujiro Takahashi, and Taichi, Yoshinobu Kanemaru & Zack Sabre Jr.
Tiger Mask W (Kota Ibushi) will also make his return to NJPW as he'll team with Togi Makabe, Tiger Mask IV & Yuji Nagata to take on Jushin Thunder Liger, Manabu Nakanishi, Satoshi Kojima & Hiroyoshi Tenzan. Before Dominion, the final build to the event will take place at Korakuen Hall with a "Road to" show on June 9th, airing at 5:30 a.m. ET. The card is mostly comprised of tag team matches, with a big six-man tag headlining the show. That main event will be Kazuchika Okada & Roppongi Vice vs. Kenny Omega & The Young Bucks. It will be Okada and Omega's final in-ring meeting before their rematch for the IWGP Heavyweight Championship at Dominion. The Young Bucks will also challenge for Rocky Romero & Trent Barreta's IWGP Junior tag titles in Osaka. Hirooki Goto, Toru Yano, YOSHI-HASHI & Jado vs. Minoru Suzuki, Taichi, Yoshinobu Kanemaru & Zack Sabre Jr.